Auckland City, Franklin, Manukau City, North Shore, Papakura, Rodney, Waitakere City, Auckland to Hamilton, and anywhere within New Zealand. 1 Man VAN $80 per hour 7 Days including public holidays. We are authorized Winz service provider. Free Winz Quotes Available. We have wide range of trucks available with tail lift and prices may vary. Our trucks are equipped with blankets, ties, trolleys,etc. All your furniture will be blanket wrapped and secured in transit. Very easy to communicate. Always response even in peak hours. I was hurried to move my stuffs to my new place and they tried hard to meet my demand at the weekend. They worked from 6:30 pm to 9:30 pm (I think) last night and tried to complete with ease and with great service. I hoped they had a good rest after hard work. Thank you to your service. I'm happy and settled in my new place now. A very reliable and efficient service - great communication and good prices - thanks very much! These two lovely gentleman delivered for me on Easter Monday. I can only but say they were truly helpful and carried in through an awkward space, my new lounge suite without complaint. I would highly recommend them. I bought the furniture and within three hours I had it.Patricia Cosford. Awesome guys, really helpful and recommended. A+!! Reliable and very efficient. Highly recommend. Excellent service. Friendly Staff. Highly recommended. very good service, prompt and very easy to deal with. No hesitations when I asked if we can come back for my TV :) Raj is very professional and friendly. HIghly recommended! Sorry if my review seem a bit late! Excellent service. Thank you! Keep up the good work. AMZEBALLS!! Super great service!! Thumbs up!! * 10/10 * Since living in Auckland I have moved far too many times and these guys are the *FIRST WHOM I WOULD DEFINITELY USE AGAIN*. Bought some delicate leather couches & double bed late on Sat night on TradeMe, and had to move it early Sun morning. So was obviously a last minute move and they were able to move it all without so much as a scratch... Were also over 10 minutes early which was also greatly appreciated. 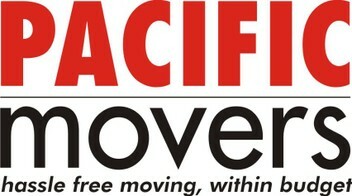 VERY friendly, accommodating, reliable + professional! THANKS GUYS! !